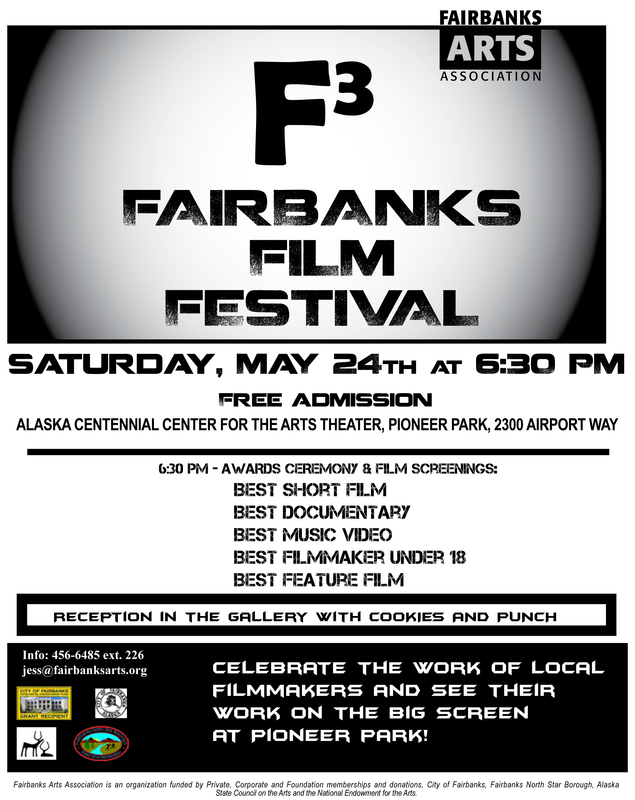 Please note, the F3: Fairbanks Film Festival has been rescheduled to coincide with the opening festivities of the Pioneer Park summer season over the Memorial Day weekend. By rescheduling the event, we hope to engage an even wider audience and to enhance the celebrations of the holiday weekend. Come celebrate the work of local filmmakers and see their work on the big screen at Pioneer Park! Free screenings of all the winning films from 2014 F3! Categories include documentary, short, under 18, music video and feature. Awards, films and fun! Awards ceremony and screenings will be held in the Alaska Centennial Center for the Arts Theater at Pioneer Park. A reception will follow in the Bear Gallery on the 3rd floor of the Alaska Centennial Center for the Arts.